When strolling through Ternopil historical center, it's impossible to oversee the amazingly beautiful Dominican Church whose two intricate towers jet into the sky. 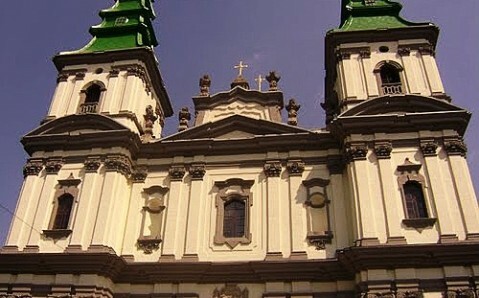 Built in the middle of the 18th century, this unique monument of the sacral architecture is still one of the most attractive sights in Ternopil. The construction of the monumental Roman Catholic Church started in 1749, on the place where the Old Russian Orthodox Church used to stand, and finished thirty years later. The architectural project was designed by the famous European artist and architect August Moshinsky. 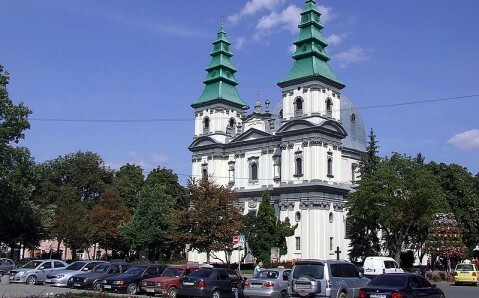 Thanks to him, the majestic temple, which had embodied the best traits of the late Baroque and later became the symbol of the ancient city, was raised in Ternopil downtown. 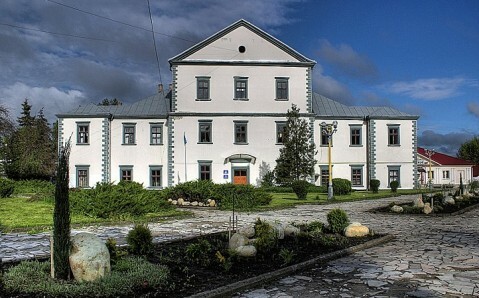 As soon as the building was completed, the then master of Ternopil, polish magnate Joseph Potocki handed the Church to Dominican monks, who, in addition, were annually paid 6000 Zloty for temple's maintenance. 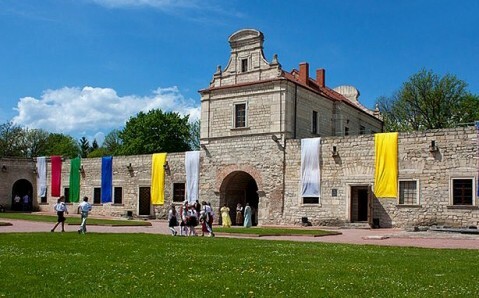 Soon, the monks adjoined two-story cell building to the Catholic Church and turned the complex into Dominican Monastery. Cozy Italian courtyard was equipped between the church and the cells. Today it is a separate, worthy of note sight. In the first half of the 19th century, the church's building belonged to Jesuit monks who opened a Collegium on monastic premises. However, soon the Dominican monks took the cloister back and restored the fallen into decay Catholic Church. In particular, they built a new cupola instead of the old one, restored the original frescos and decorated the walls with new paintings, installed the organ and additional altars. During the World War II, the Dominican Cathedral - the same as the whole city - was severely destroyed. It was fully restored a few years after war's end, though. In the Soviet times, church's premises were used as a picture gallery, and only in the late 20th century, the church started operating again. 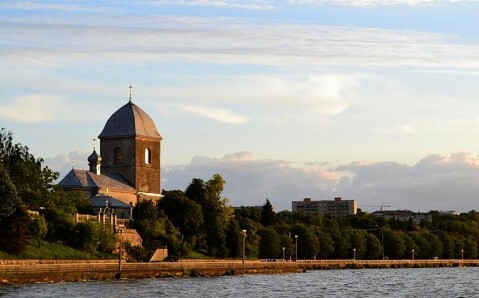 It passed to the Greek-Catholic community of Ternopil and was renamed into the Cathedral of the Immaculate Conception of the Holy Mother of God. Today, the park is laid out right in front of the Catholic Church and the monument to the Prince Danylo Halytskyi is installed there.